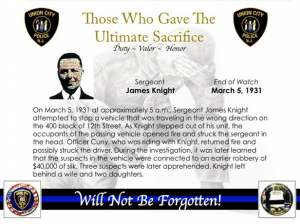 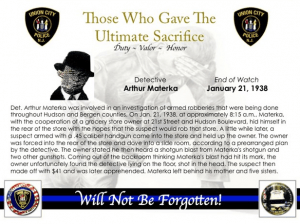 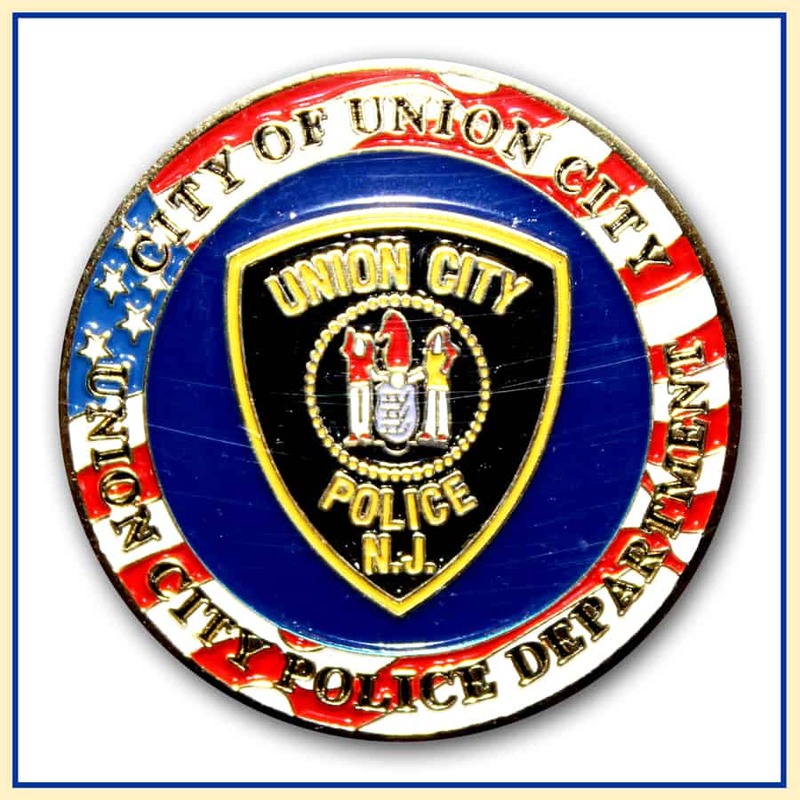 This dedicated page to Union City Police Department’s Fallen Heroes was created under the direction of PO Chris Scardino. 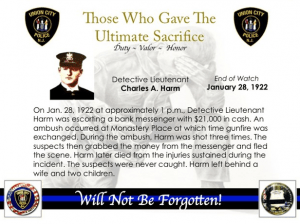 With the support of Mayor Stack and Chief Molinari, PO Chris Scardino was able to bring his vision to life. 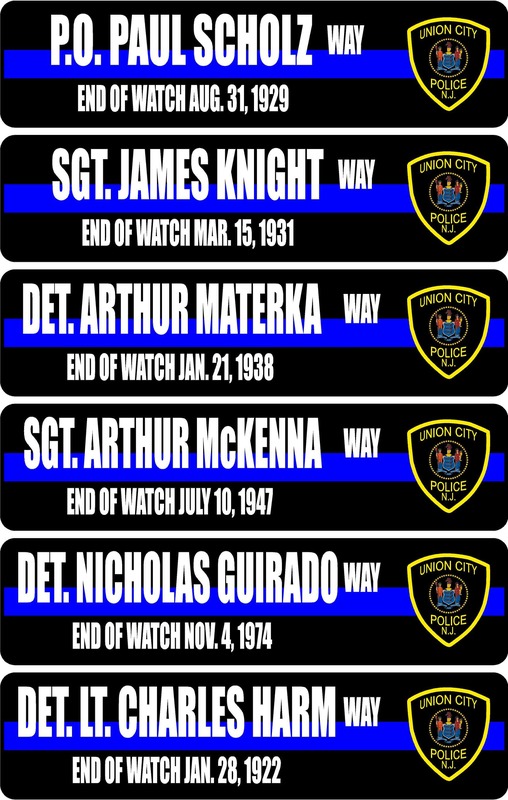 On May 13th, 2015 Union City Police renamed 6 city streets, from 15th & Summit Ave through 15th & Palisade Ave, in honor of the 6 fallen heroes that served the city. 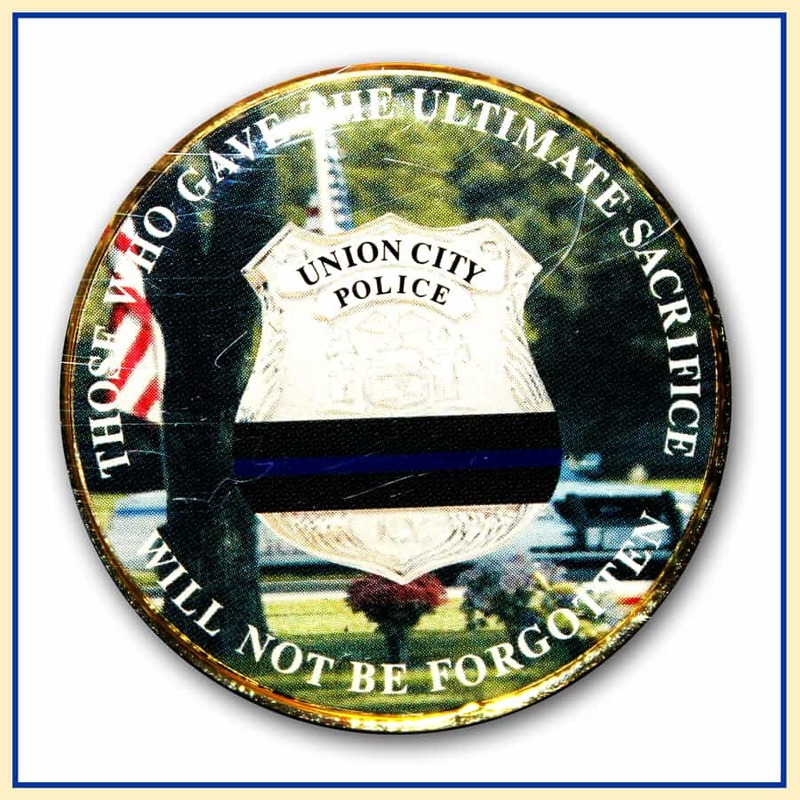 The coins, which were designed by PO Chris Scardino and Fr ST Sutton, features a cemetery background with a police car, and a Union City badge with a blue and black bar going across it on one side. 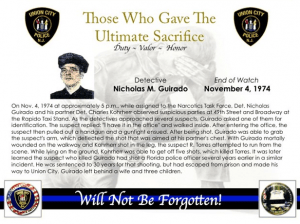 On the other side of the coin is a flag in blue with six stars to symbolize each of the fallen officers.